also....where do you go to sell your silver back whne your finished with it ,do you simply mail it off to a dealer? i see quite a difference between silver coins and bullion, why would this be?. You are paying for the production costs. Coins cost more to mint compared to casting a silver bar. Also , some coins may contain an artistic value due to the craftsmanship of the engraved dies , which may not always , but can , be present in bullion bars . It isn't all about the silver content (in my humble opinion) . The main reason that coins cost more, is as Dead Spider says, due partly to the costs of production. There is a further element though, and that is that they carry a desirability premium; a person will normally buy a coin rather than a bar for the same price, unless the bar is highly decorative - in which case Dead Spiders' point comes again into play. You may also wish to know that coins carry a premium when resold to a dealer or on eBay. I would not sell to any high street jeweller unless they are prepared to match internet prices. coins are technically only from government mints. If itlooks like a coin but is not from a government, its a "round" and is only bullion. I have used Coininvestdirect and can recommend them, Bairds aka goldline are good too but usually a little more expensive. Good point . May not be what the OP was meaning though (or not , me no know) . An example of what I mean . 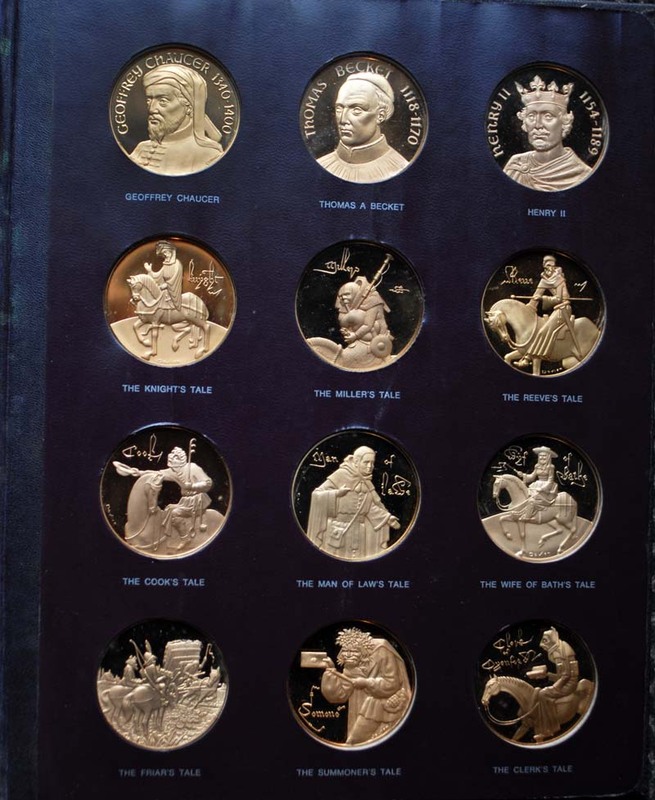 These coins are made from "Solid Bronze" Whoop ! 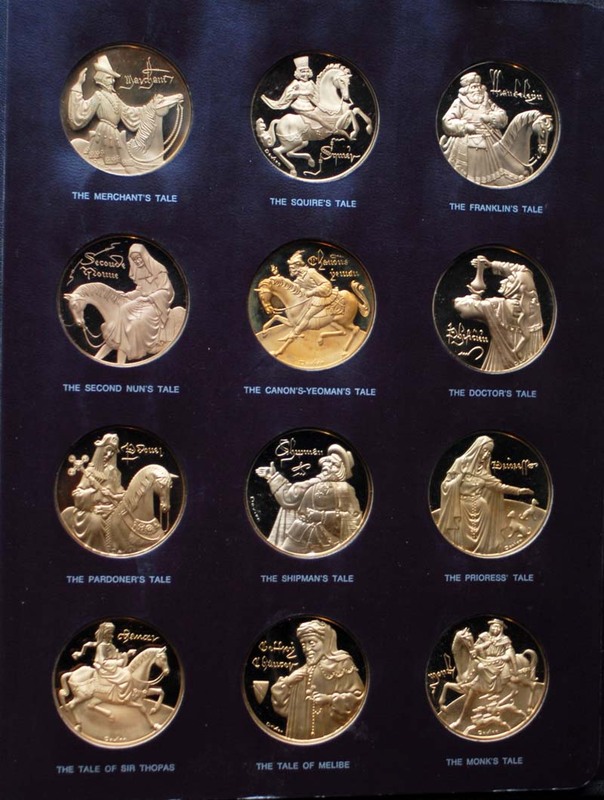 Yet the arty value for the 36 coin (bullion? ) collection made £290.99 plus shipping at the end of October using BIN (was originally on for around £400 if memory serves) . 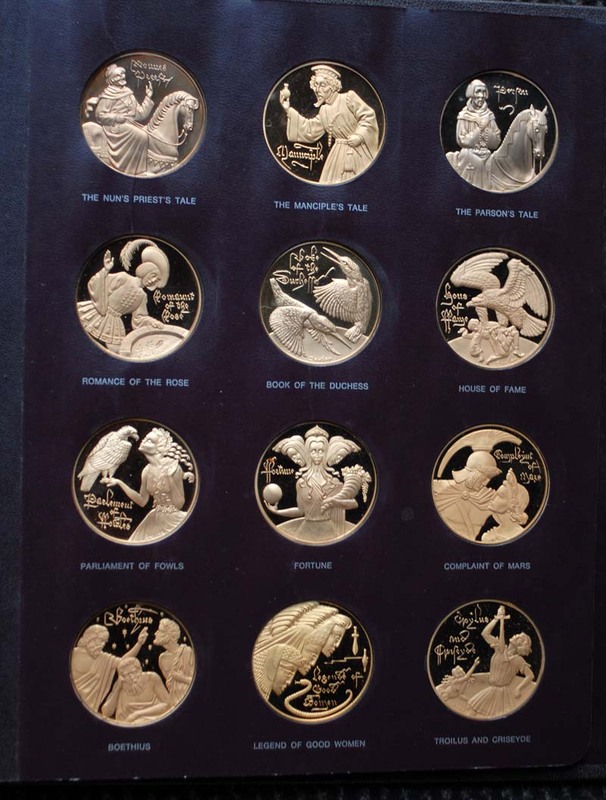 Both sides are engraved , showing 72 different scenes . I wouldn't pay that much tbh . For silver I wouldn't bother will coins or bullion. If you trust "paper" silver then the cheapest way to buy and sell silver is through an ETF (ie a silver price tracking share) like PHAG which can be bought like any other share. No VAT to pay and buying and selling is cheap and at the press of a button. I have a silver maple that has the maple leaf picked out in autumnal colours, and it has its own presentation case. I'd sell a 1 troy oz round, or a 'normal' maple for circa £20 - £26 on ebay, but the beautiful maple is a mini work of metallic art, and I wouldn't sell it for the silver scrap value. If you're speculating in PM prices then generally stick to rounds and bars. I have a silver maple that has the maple leaf picked out in autumnal colours, and it has its own presentation case. Or is it an electrolytic colouring ? Do you have a photo ? Sine, you've been on this site too long.. If something big happens to the supply ETF's could become worthless..
i put an order in with bairds last night and after i filled out the shipping details the price had changed i was a little shocked, also they say you have 2 days to get the money to them and they will hold the price, what is the best way to get the cash to them and what happens if you go over the 2 days and the price goes up? Try a direct bank transfer. The dealer should be able to give you their bank details and you credit that with the said amount. Ask your bank how to go about it. If you bank online, you can do it that way. Interesting auction on Ebay . Could always sell it as place settings later on . when they are cheaper than coininvest not very often as it goes. coininvest work on spot prices but bairds work on london fix. You can use that to your advantage a little but only if watching spot. I like silver but not vat. Any reason you dont want to just buy sovs? I make spot value about £3800 so it is a good price now but has 3 days left to run, could be interesting depending on what silver does monday. Wow, that is going to go for a lot more than its price in weight. Allowing maybe 20g for the steel blades on the knives I'll guess about £4600 . Be a damned shame to buy that cutlery set for scrap value and melt it down. I'd go for a valuation of circa £4500 - we shall see! i thought gold was more of a risk as it seems to be in a bubble.....would i be wrong?.. should i buy gold sovs? and trailing at the moment , but gaining fast , is kilham at 5000+ .